The Palestinian Health Ministry in the besieged Gaza Strip has reported, on Tuesday evening, that a child was killed in an “accidental explosion” in central Gaza Strip. The Health Ministry identified the child as Mohannad Amin al-Baz, 13 years of age. 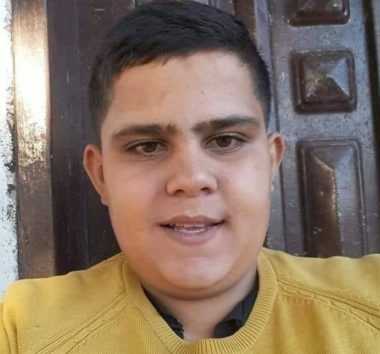 There has been no detailed information regarding the child’s death, but the short statement by the just said he was accidentally killed in his home in Deir al-Balah in central Gaza Strip. Georges Ibrahim Abdallah issued the following statement on the occasion of Palestinian Prisoners’ Day 2019. The imprisoned Arab Communist struggler for Palestine has been jailed in French prisons for 34 years, despite being eligible for release since 1999. 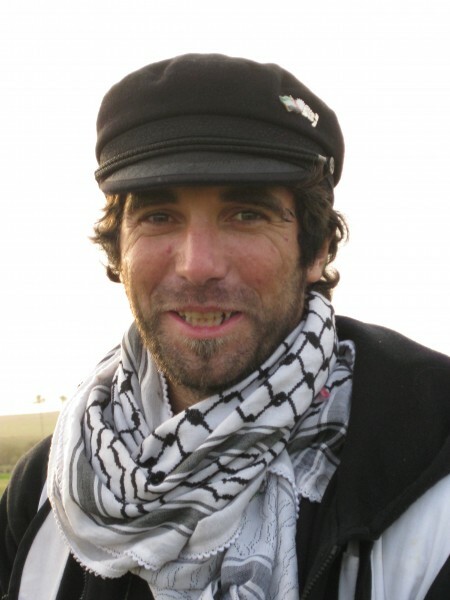 The U.S. government has repeatedly intervened in an attempt to prevent his release from prison, while a growing movement in Lebanon, France and internationally demands his liberation. The conditions of detention of the Palestinian Resistance strugglers in Zionist jails have been worsening in recent times. Since the beginning of the year, Gilad Erdan, the Israeli Minister of Internal Security, seeks to impose a “new reality” upon our fellow prisoners with the aim of reversing or simply extinguishing the rights that they have acquired through multople, courageous struggles in past years. Raids, searches and other forms of repression are escalating in the various Israeli prisons. The special units, heavily armed for repression, are engaged in the worst excesses during these various invasions. There were over 120 prisoners wounded in Ketziot in the repression of protests since February, as well as in Ofer, the Negev prison and elsewhere in the other detention centers…. Following this situation, our comrades announced the launch of a collective hunger strike in Israeli jails. Key leaders of the prisoners’ movement and the national liberation movement as a whole joined the strike, and hundreds planned to join the strike in the coming days. 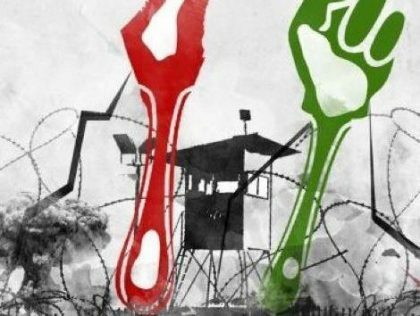 It was expected that the strike would escalate just today, 17 April, in Palestine and internationally, on Palestinian prisoners’ day. However, the Zionist authorities found it useful to back down for the moment in face of the growing movement and its potential, especially in light of the latest developments in the Arab wold, namely the promising movements in Algeria and Sudan. As you see comrades, the revolutionary strugglers, often in particularly difficult circumstances, seek by all means to defeat the policies of destruction they are subjected to in the enemy’s jails. However, the outcome of this confrontation, the outcome of these hard battles, is always a function of the solidarity of the masses and the unwavering commitment of the vanguard in the field of ongoing struggle. In 1974, the Palestinian National Conference declared 17 April to be Palestinian Prisoners’ Day. This was not only meant to denounce on this occasion the barbarism of the Zionist occupier nor was it only intended to honor the captive resistance by reminding the masses of their sacrifices and their unwavering willingness to stand up against the Zionist military forces. The commemoration of this Palestinian Prisoners’ Day is intended, above all else, to affirm loudly and strongly the determination to tear our comrades from the claws of their criminal jailers. Indeed, on several occasions, the vanguards of the Palestinian revolutionary struggle took on this task with great courage and self-sacrifice, forcing the enemy to release thousands of imprisoned comrades without any concessions on their part. Today, comrades, here we are gathered again, in different countries of the world, to commemorate Palestinian Prisoners’ Day and especially to express our unwavering solidarity with the resistance in the Zionist jails and our complete confidence in the determination of the Palestinian revolutionary vanguards and their firm resolve to do what is necessary to tear our resisting comrades from the clutches of the Zionist criminal jailers. May a thousand solidarity initiatives blossom in support of our flowers and cubs imprisoned in the Zionist prisons! May a thousand solidarity initiatives blossom in favor of the strugglers of the right of return initiatives! Solidarity, all solidarity with the resistance in Zionist jails and isolation cells in Morocco, Turkey, the Philippines and everywhere around the world! Solidarity, all solidarity with the resisting revolutionary comrades in the jails in Greece! May a thousand solidarity initiatives blossom in support of the Algerian, Sudanese and Yemeni masses! Solidarity, all solidarity, with the young proletarians of the working-class neighborhoods! Capitalism is nothing but barbarism. Honor to all those who oppose it in the diversity of their expressions! Together, comrades, and only together, we will win!